According to Business Insider, 80% of companies want to use chatbots by 2020. And why wouldn’t they? Customers want to use some best chatbot to experience 24/7 support, and almost every other person prefers chat over email and phone. Chatbots seem like the obvious answer. The main reason why some businesses still choose to stay away from this emerging technology is its perceived complexity. Even people with no IT background can easily understand what goes into creating a web page. But only a few know how to make a bot. Spoiler: building a chatbot is incredibly easy. But if you need a custom chatbot solution, for example – with CRM integration, all of these platforms functionality is kind of limited. In this case, you can contact us. This is about to change very soon. New chatbot platform tools that allow anyone to make a bot easily are rapidly emerging. There’s already quite a few excellent tools that allow you to make your own chat bot. We have selected top 10 best chatbot platform tools that enable you to create chat bots in minutes even if you have no idea how to make a bot. Chatfuel makes it possible to create a full-fledged chat bot in 10 minutes. No programming required. The companies such as Adidas, MTV, TechCrunch, BuzzFeed, British Airways, and ABC news used Chatfuel to make their chatbots. The platform currently has 17 million users around the world. They have created 360,000 chatbots used as personal avatars, event assistants, and customer support, just to name a few. Facebook Messenger is one of the most popular instant messaging services in the world. It has been home to bots for quite some time now. Facebook wants to help businesses create top chatbots by providing them with top tools for their development. Facebook bots help brands stay in touch with their customers. The bots automatically initiating conversations with people based on their phone numbers and consent to be contacted. Facebook Quick Start guide promises to show how to create a chat bot from scratch in less than ten minutes. Everything is explained in detail and accompanied by screenshots and examples. Telegram, a free cloud-based instant messaging service supported by Russian entrepreneur Pavel Durov. The platform has always been at the forefront of technological innovation, so they don’t want to miss the party when it comes to chatbots. Bots created for Telegram are like regular accounts, except that they are operated by software. Thanks to Telegram’s extensive HTTP-based interface for bot development, it’s possible to easily create a chatbot. Telegram bots integrate not only with the messenger but also with many other services. Integrated with most popular services and platforms, open-source, serverless, and approachable — that’s Bot Builder for Node.js from Microsoft. If you don’t know how to build a chatbot, the Microsoft Bot Framework Overview is a good place to start. The company has created a very comprehensive resource. By following the instructions you can create full-fledged chatbots that can do the same things that almost every best chatbot currently available can. Because this platform tool comes from Microsoft, you can be sure that it’s here to stay, unlike many other platform tools. Often described as the best chatbot tool, ChatScript started in 2009. Bruce and Sue Wilcox started working on a project that would allow her to create characters for interactive fiction games. ChatScript has since then evolved to include many advanced features. They help Bruce Wilcon win the Loebner AI Prize three times. The project is open-source, written in C and C++, and publicly available on GitHub for everyone to study and adopt. ChatScript is best suited for chatbots that are intended to maintain natural conversations with the user. Seamlessly integrated with Facebook Messenger. Chattypeople helps anyone create a facebook bot with no coding at all. The service is intended to please the needs of those businesses that provide constant support for their customers. It supports OpenCard, Magento, and WooCommerce e-shop platforms. Also, Chattypeople integrates with Stripe and PayPal and is available for free. Businesses with more than 100 customers can upgrade to the Advanced plan. The upgrade includes auto updates, premium support, unlimited comments reply, and more. Our list of best AI chatbot platforms must include a chatbot website service Pandorabots. The platform allows businesses to create and host their own chat bots that can have human-like text or voice chats with customers. Parts of this bot platform are licensed under GPL. Pandorabots supports AIML, an XML dialect for creating natural language software agents. 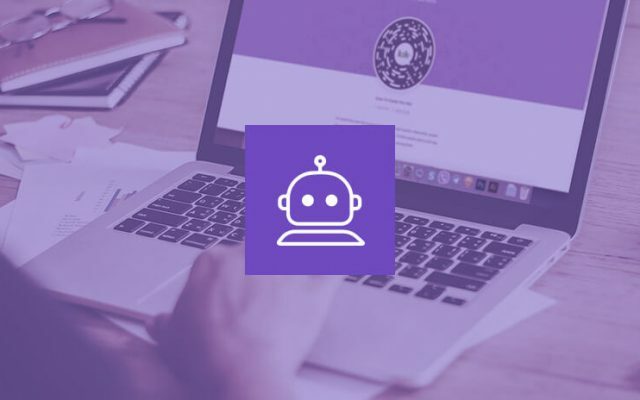 Pandorabots’ bot-making services include custom chatbot development, employee training, code review, data services, engineering support packages, hosting, licensing, and others. 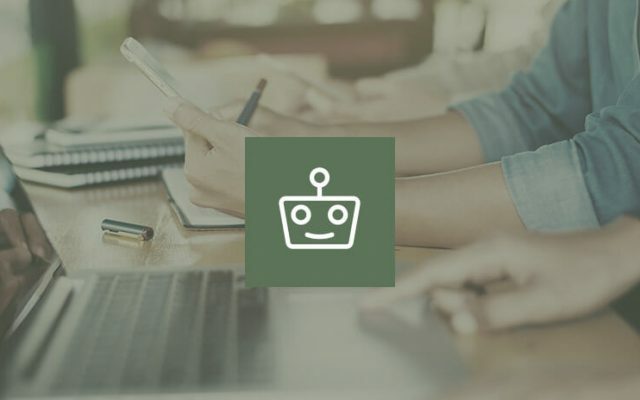 If your goal is to develop the best AI chat bot for Slack without too much effort, Beep Boop should be your chatbot making platform tool of choice. Beep Boop relies on GitHub for source code management and Docker for deployment. This means that you can use any programming language you want and focus on what you want to accomplish. You don’t need to worry about which tools and technologies you should use. Beep Boop has a free version for up to 3 Slack teams. Its biggest limitation is that you must restart the platform every 7 days. Paid plans start at $10 per month and go up to $25 per month. Botsify is another top bot creation platform that makes chatbot development simple. It offers several plugins which make it possible to integrate virtually any platform with chatbots created using Botsify. Instead of coding, it’s possible to create top bots using easy drag-and-drop interface. The interface is simple. But behind it – a sophisticated artificial intelligence capable of picking up similar phrases and entities from the user’s query. The company supports a machine learning. Botsify bots learn new tricks on their own, but humans can take over anytime to respond to really tricky questions. Rebot.me strives to debunk the notion that creating a chatbot is difficult. Anyone can quickly create a chatbot using Rebot.me. Then train it to become the best online chat bot in existence simply by talking to it. The more input bots receive, the smarter they become. After some training, bots created using Rebot.me are ready to answer customer questions and keep visitors engaged longer.